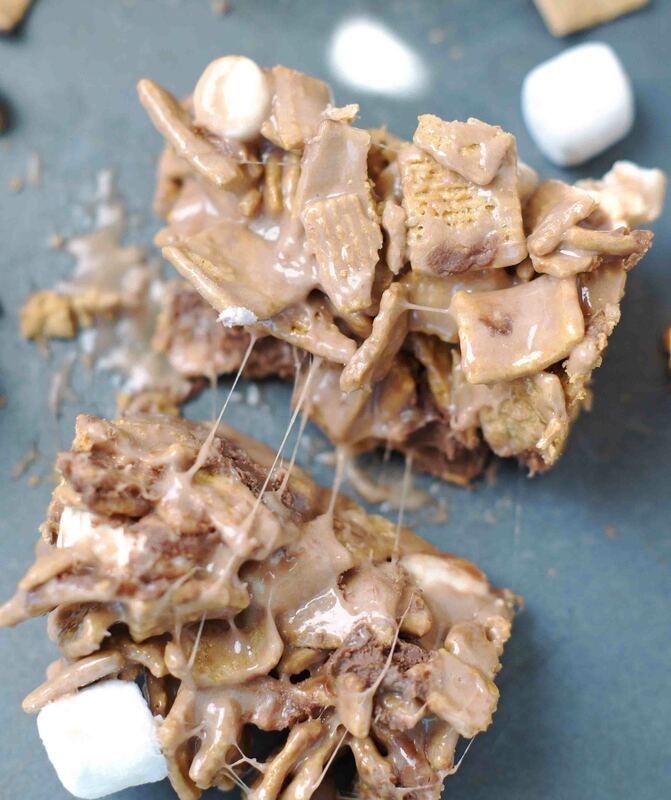 These No-Bake Indoor S’mores Bars are gooey, chocolaty and crazy delicious. So simple to make, no firepit even required. 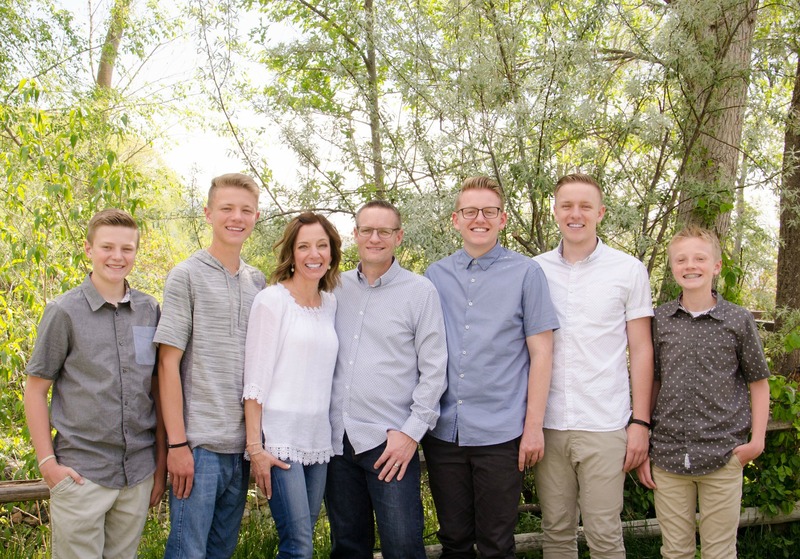 These will become a family favorite. Could someone pleeease tell me how it got to be the end of July already? This summer is flying by and I kinda hate it. I feel like we haven’t done anything super exciting with our boys, oh wait, that’s because we haven’t. We’ve lived kind of a boring, non-eventful summer. Trips to the swimming pool and a few visits my parent’s cabin are about the extent of our travels. I know, I know, try not to be too jealous! 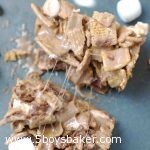 Actually, what you should be jealous of is the fact that my boys got to enjoy these gooey, delectable No-Bake Indoor S’mores bars the other day. They couldn’t be easier to make and s’mores are just a summer thing don’t you think? They are one of my boy’s favorite things to make at the cabin and since we aren’t always there, and we don’t have a firepit in our backyard, these are a yummy substitute. I cut this recipe out of a magazine about 22 years ago and tucked it away in an old photo album. The album is filled with recipes that I’ve cut from newspapers, magazines, cereal boxes, etc. I haven’t made these in years and got thinking about them the other day so I pulled out that big old album and made them. I had a blast looking through all the recipes I’ve saved. I bet I’ve only made a handful of what I saved, but one of these days . . . . ;)! 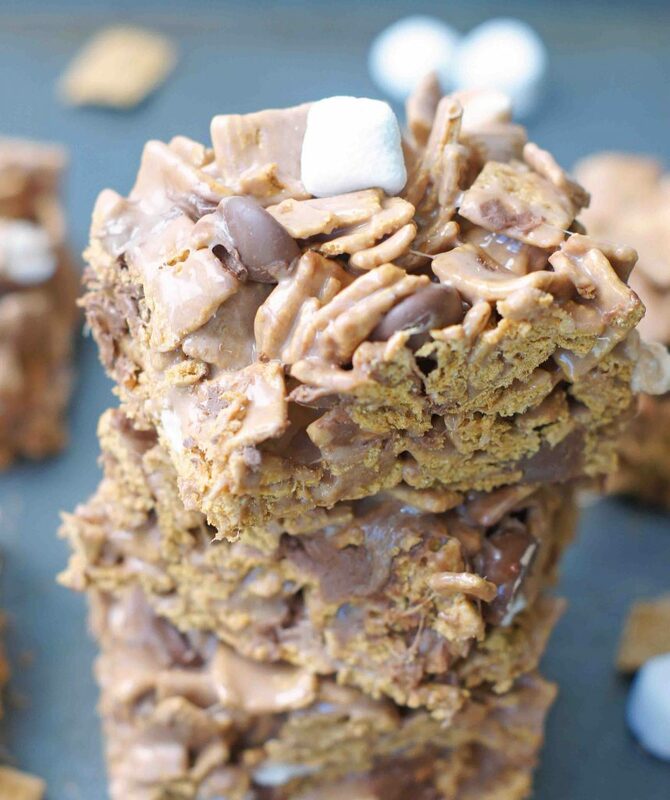 The fact that these s’more bars are no-bake is just an added bonus, especially on those hot summer days when the very last thing you want to do is turn your oven on. These bars just may be slightly addicting, so consider yourself warned. In a large pot/dutch oven, melt 5 cups of the marshmallows, corn syrup, butter and 1 cup of the chocolate chips over low heat, stirring frequently. Cook until marshmallows are mostly melted (just a few lumps), remove from heat and stir in vanilla. Add Golden Graham cereal and stir until well coated. Stir in the remaining 1 cup of marshmallows and 1/2 cup of the chocolate chips. Press into a buttered 9 x 13 pan. Let set for about an hour before cutting them into bars. 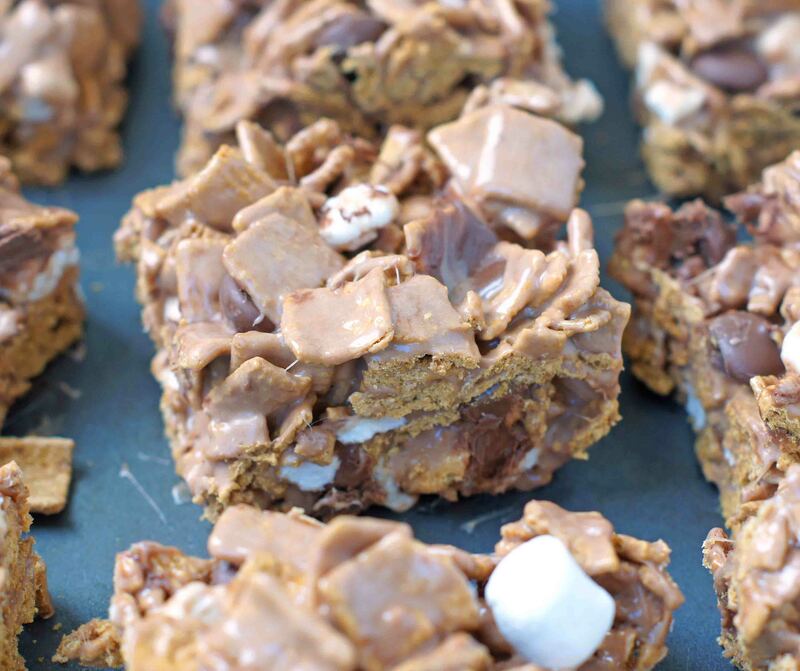 I love s’mores so these bars are calling my name! Thanks for linkin’ up with What’s Cookin’ Wednesday!